Disclaimer – California Bartlett Pears has sponsored this post but all thoughts and opinions are my own. When my kids polish up things like a salad and ask for more, you know a recipe is a keeper. 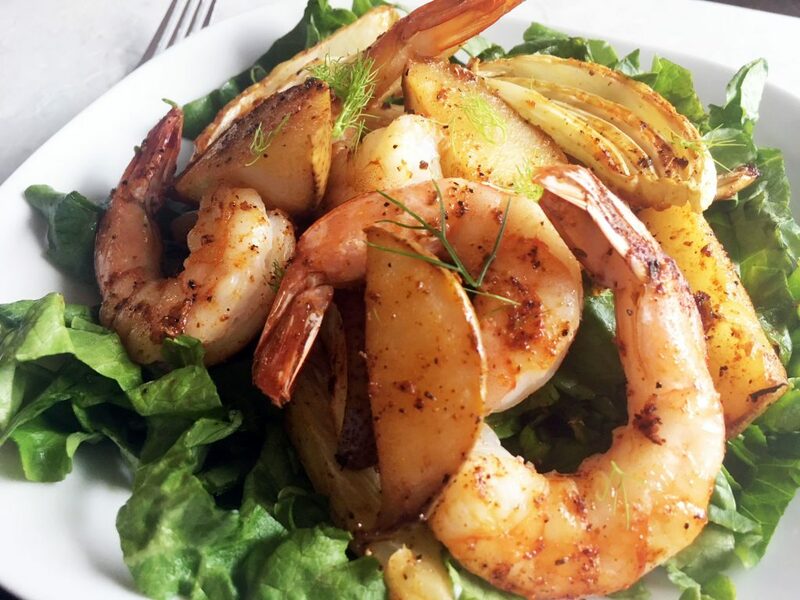 This roasted pear, fennel and shrimp salad was a hit! Disclaimer – California Cling Peaches has sponsored this post but all thoughts and opinions are my own. Doesn’t this seem like it’s been the longest winter ever! I thought that by escaping the cold in January, it would shorten this cold spell but it does seem never ending. I’ve decided to forget the cold and dream of Spring, in particular Easter and Mother’s Day. These occasions are perfect for a tea party, don’t you think? 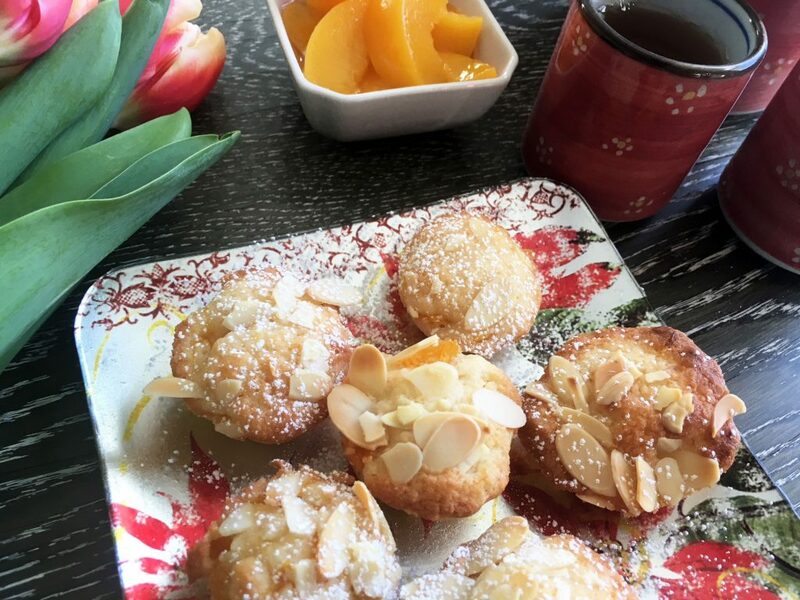 These mini peach and almond cups are perfect with tea, or coffee if you prefer. The peaches bring a brightness, a touch of sunshine while the almonds make them filling and provide a great texture. The combination is very delicious. We have had a pretty amazing December. While others have been sitting through snowstorms staying warm by the fire with mugs of hot chocolate, we have had some mild weather. I mean, no-coat, no-boot weather, ride your bike and bbq weather. I know the cold front will soon be coming and I’m sure we will have a white Christmas, but for now, I’ll just happily enjoy this. Disclosure: I am working with Springfree Trampoline as an ambassador and have been compensated. All views and opinions are my own. Less than one month until Christmas! As I put together my favourite things for my Holiday Gift Guide (coming soon), one thing is at the top of my list – a Springfree Trampoline! Disclaimer – This is a sponsored post for Hamilton Beach but all thoughts and opinions are my own. This post contains affiliate links. As the kids head back to school, and we start worrying about what to pack for snacks and lunches, one meal that cannot be forgotten is breakfast. Let’s face it, sometimes the kids don’t eat at school. There are more important things to do sometimes and the last thing we want to see is an uneaten lunch. That’s why, making sure that the kids have a good breakfast is so important. We may not be able to control what they do and don’t eat at school, but we can make sure that they head to school with full bellies. 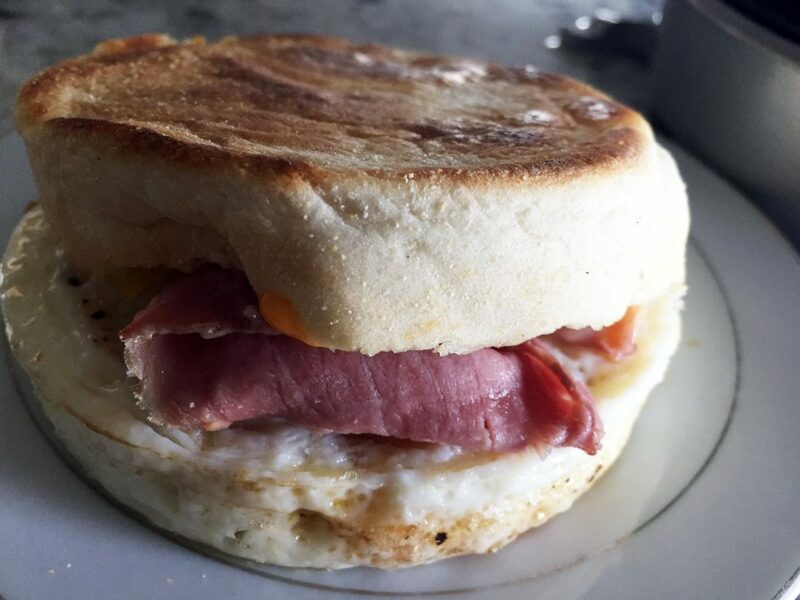 Hamilton Beach makes breakfasts easy with items like their Breakfast Sandwich Maker and Skillet. Have a Trampoline Party with Springfree and Tgoma! Looking for a fun party idea? A trampoline party with Springfree is definitely a fabulous way to celebrate. When planning the trampoline party, I envisioned balls and balloons and jumping and bouncing. I wanted to incorporate all of these into our trampoline party. 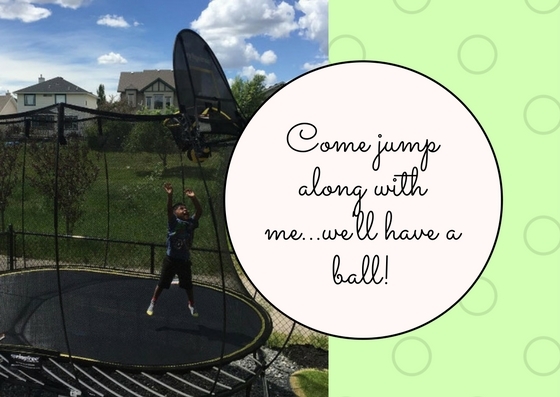 Come jump along with me…we’ll have a ball! When Famoso asked us to check out their new Spring menu, we jumped at the chance. We love their pizzas and enjoy all they have to offer. 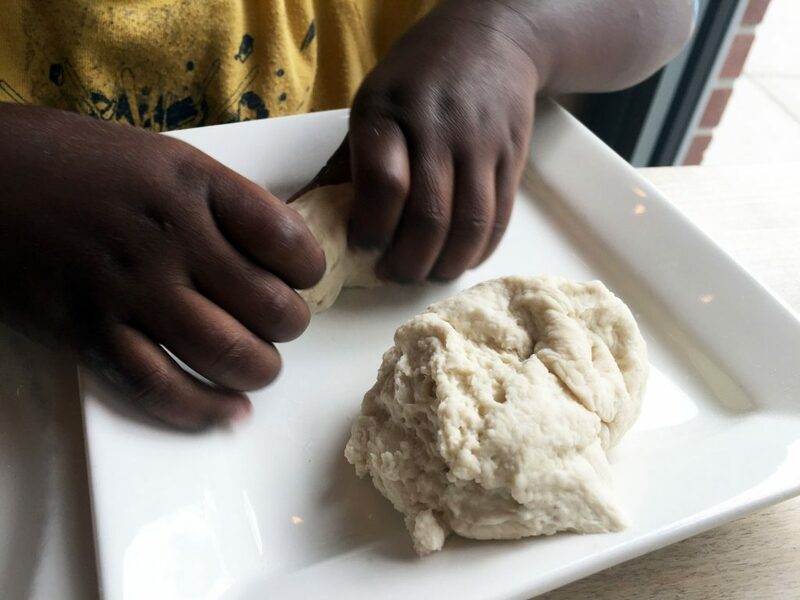 The family and I headed to the Mackenzie Towne location for dinner and while we perused the menu, the kids got to play with pizza dough. What a fun idea! We started our meal with the Blackberry and Goat Cheese Salad. This is a seasonal salad that is back for the Spring. 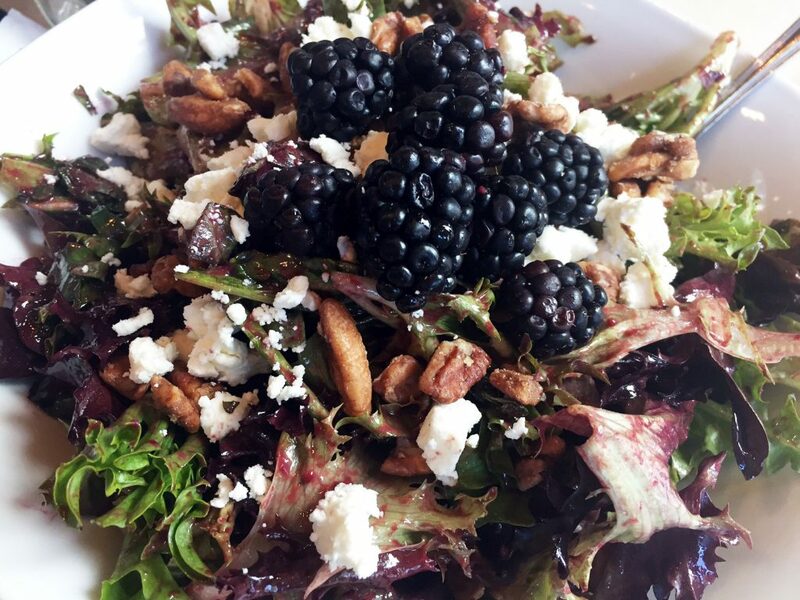 The mixed field greens with arugula and blackberries was topped with candied pecans and a blackberry vinaigrette. This salad just popped with the addition of the mint which really stood out and brought a freshness to the vibrant salad. 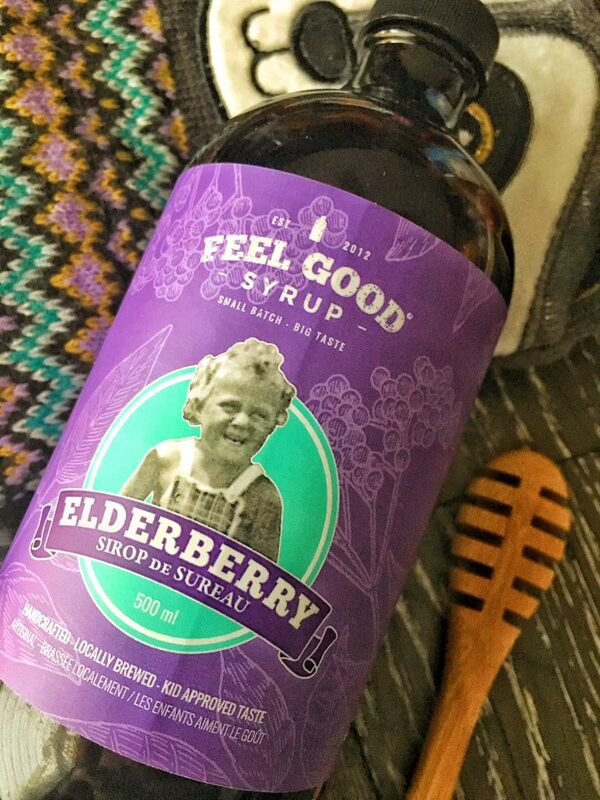 We would highly recommend this! Last year, my kids and I attended a Springfree Trampoline event at their store. From jumping on friends’ trampolines, we knew we already loved the Springfree but we discovered something more…tgoma! 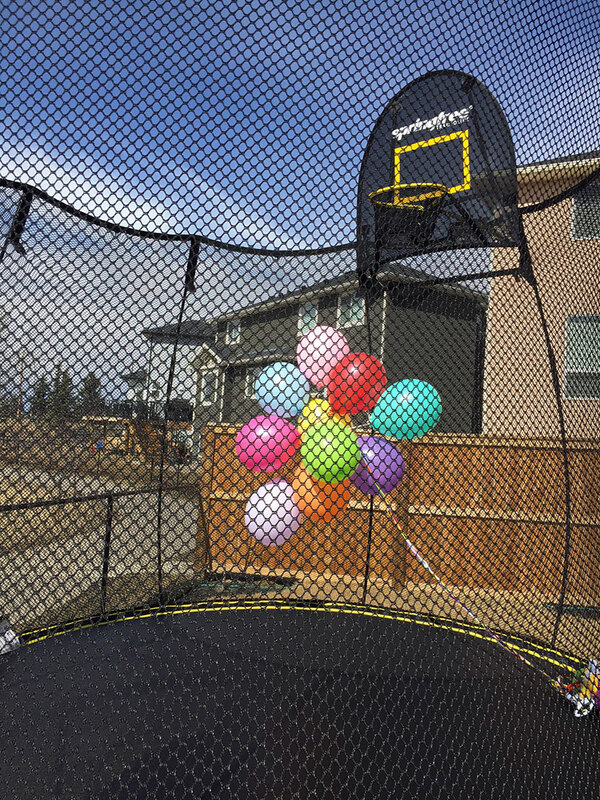 The first outdoor interactive game system for a trampoline. Guilt-free screen time. Yes, that’s right. It’s important for me to work with brands that I love so I was thrilled to partner with Springfree as an ambassador. 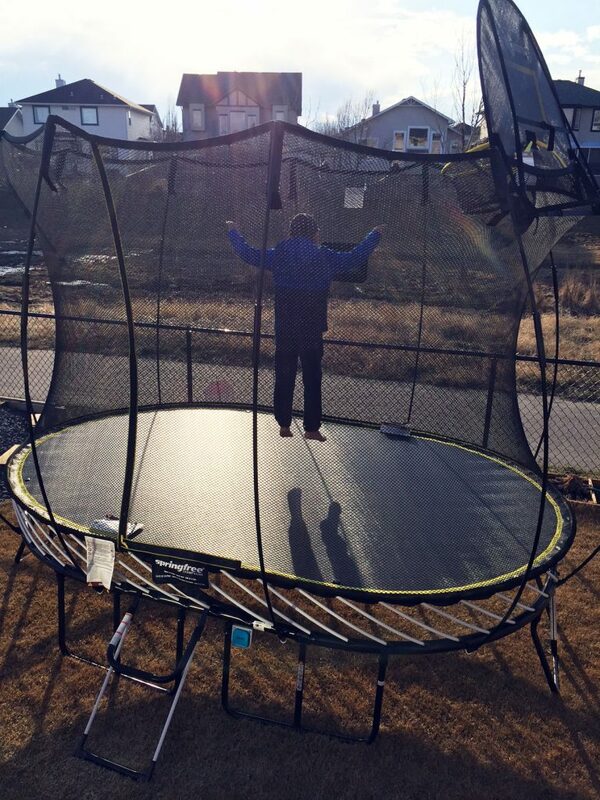 The kids were thrilled when the new trampoline arrived. Luckily they weren’t home for set up so this mamma got the first few jumps! Do dishes taste better in individual portions? 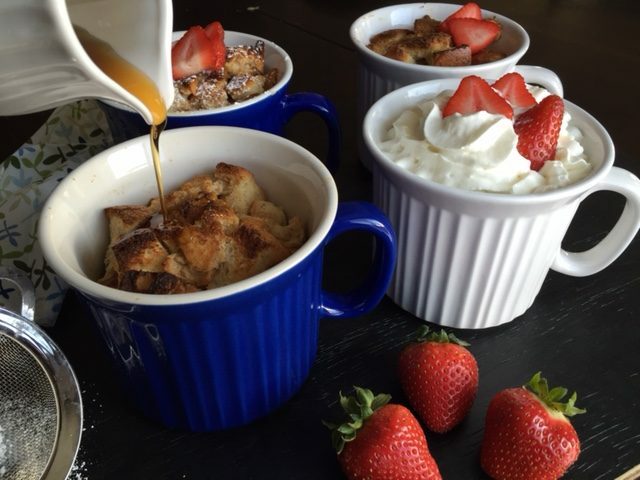 I had baked french toast on my mind and was happy to test out this theory when I received four Meal Mugs from CorningWare. 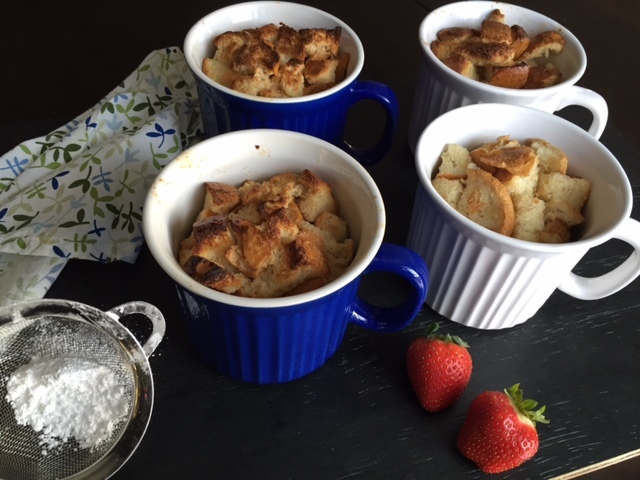 These CorningWare Meal Mugs were perfect for individual servings of this baked french toast. Imagine these on Christmas morning, each member of the family with their own mug of deliciousness. Make them the night before and let them sit in the fridge. 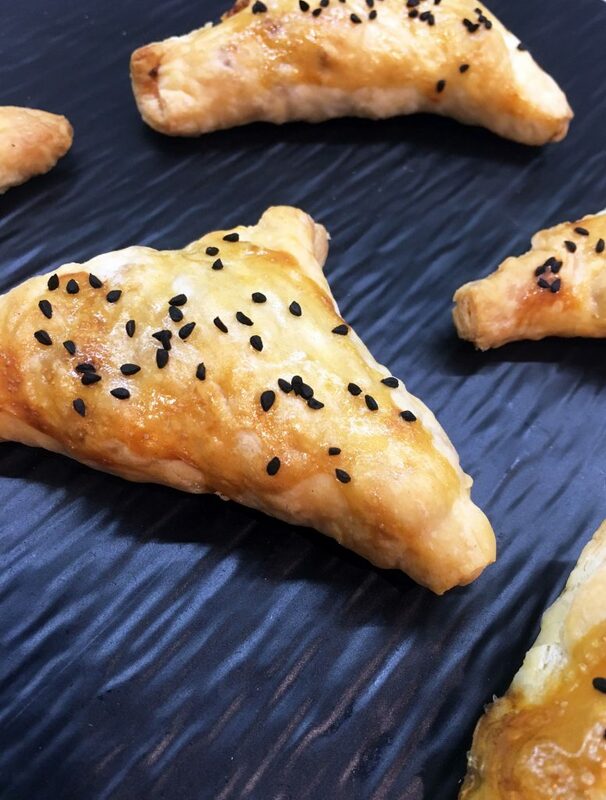 Pop them in a pre-heated oven in the morning and you have a warm, tasty breakfast. Top them with your faves – whipping cream, maple syrup, icing sugar, fruit, nuts – the options are endless. The baked french toast can also be made in the microwave, you just won’t get the toasty bits on top, but is just as tasty (see the mug in the bottom right above)! These mugs are great! They are made of durable stoneware material whose non-porous surface does not absorb food odours, flavours or stains. The mugs are dishwasher, refrigerator, freezer and microwave safe and if you pre-heat the oven, you can stick them in there too! Their vented lids, which are patented, allow the steam to escape and are BPA-free and can be used in the microwave and the dishwasher. These are perfect for soups, and stews and on some days, large cups of much needed coffee. You can find these mugs at the following retailers: Amazon.ca, Walmart Canada, Loblaws, Home Outfitters, London Drug and www.shopworldkitchen.com. Make sure you participate in the #MealMug Twitter Party for your chance to win your own mugs. You can RSVP here for the December 15th event taking place at 7-8pm MST. Combine the eggs, milk, sugar, cinnamon and vanilla in a bowl. Add the bread cubes until everything is coated. Divide the bread into 4 Meal Mugs and place in the fridge overnight. When ready to bake, place the mugs in a preheated oven at 350 degrees for 30 minutes. For the microwave - microwave on high for 2 1/2 minutes.